How will blockchain effect the Asia Pacific real estate market? Matthew Powell, Director of Savills Hanoi. Arranging real estate transactions through the use of Bitcoin has become a noteworthy trend in recent times, but Savills Vietnam warns that with the level of currency fluctuation, crypto-currencies at present, are too unstable to act as a viable store of value for investors. In June, the Bank of International Settlements (BIS) said crypto-currencies would never be a practical alternative to mainstream currencies because they were too unstable, subject to too much manipulation and fraud and also that they are killing the planet – Bitcoin mining currently uses as much electricity as Switzerland. Despite the uncertainties associated with Bitcoin and other crypto-currencies, Savills suggest the underlying blockchain technology may have a number of potential uses for real estate. Blockchain allows information relating to a series of transactions to be distributed across a network of computers (known as nodes). Blockchain creates digital records that are shared, transparent, rapidly updatable and very difficult to hack. 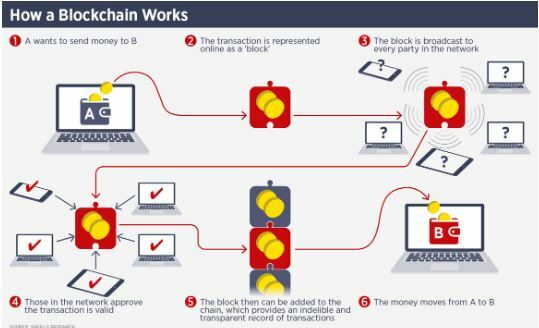 A crucial element is that blockchain eliminates the need for a central authority to approve transactions and verify identities as the ledger for transactions is distributed over a network. Savills say this makes a transaction harder to falsify. However, at present using the technology in this way subjects investors to the vagaries of the crypto-currency market. And this is before regulators in Asia Pacific get to grips with cyber-currencies; the attitude of the BIS demonstrates that blockchain transactions will remain on the fringes for the time being. For more information about the use of blockchain technology in real estate, phone or email Matthew Powell, Director at Savills Hanoi, via the contact details listed below.